Welcome, one and all to the most intense nightly read on the sphere: The BitsBlog Nightly Ramble. What about photoshop? OK, look, I can fully understand why Obama would want footage of the President’s private jet circling the Statue of Liberty. It’s likely the best image he could hope for given that the American people seem convinced his connections with liberty are imaginary at best. A little visual reinforcement would be just what Obama’s handlers would have hoped for. But, I gotta tell ya… if I was interested in placing Air Force One over NYC, I’d just use Photoshop. For those of you who don’t know, I use that and a few other tools to make the Nightly Ramble graphics I post, like the one at the head of this Ramble. Just for fun. Anyway, it’s cheaper than buying all the stuff I show you every night. Matter of fact, I think I used Powerpoint and MSPaint to make that particular one. I use those when I don’t want to break out the heavy tools. 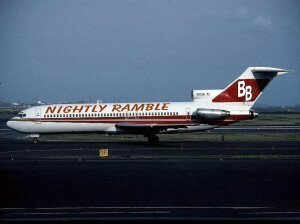 (You guys really think I have an airliner, for example?) So, if I wanted that kind of shot… AF1 over Manhattan… why in the name of Samuel Hill would I need to fly a jet and a fighter over a bunch of people still frightened from 9/11? George Lucas? Clarice Feldman wrting over at American Thinker, points to a report at Just One Minute that the whole thing was for a George Lucas movie about the Tuskegee Airmen. A reasonable guess. Personally, I wonder if the thing wasn’t being filmed to use in the 100 days airing we’re to see tommrow night. Of course I won’t know until the next morning, but that’s another matter, I suppose. Still, that leaves the issue of why someone of that kind of movie and tech prowess wouldn’t simply CG the bloody thing. Eric @ American Thinker: Tom Lifeson was nice enough to post a few comments of mine over at American Thinker on the matter. 9/11 still very much on people’s minds: Marshall Foche is famously credited with “There are no atheists in fox holes”. We saw an example of that yesterday in NY and NJ, I think. They were feeling pretty good about themselves for a while, and secure enough that they voted Obama… someone who clearly doesn’t have much use for the military solution… or the military itself for that matter, into office. I wonder how many Obama supporters in NYC were having second thoughts, yesterday as they watched those planes, and their survival insticnts came forward? The reaction we all saw on those vids and the angry snarls we heard when the truth of the matter came out, tells me Americans are still affected by the 9/11 attacks. They are still very much in the minds of the American people. They’re still shell shocked to a degree that Democrat party leaders can’t seem to get their collectivist minds around. Based on what we saw, I tell you this, in all candor: Obama mishandles the security of this nation at his own peril. I said yesterday that support for him was far more fragile than the numbers suggest, and much more than half of Americans think the aggressive interrogation Obama’s trying so hard to get mileage out of just now, is appropriate. Yesterday’s events in NY shows us why. MK2009: Lorie Byrd tweets that Obama’s next photo-op could be 200 or so unmarked fighters and bombers over Pearl. Yeah, Lorie, that’ll work. I think. But only if they’re propeller -driven. No jets. 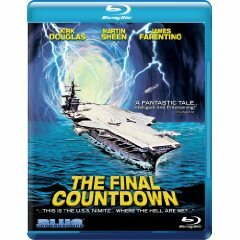 Make ’em think they’re living “The Final Countdown” I mean, if you’re gonna screw with people’s minds….do it RIGHT. Tick, Tick, Tick: About that support for what pleases Obama to call ‘Torture’. The ticking time bomb scenario comes into play, I think, in ways a lot of folks won’t talk about at parties. There are times when such treatment is appropriate. And I see no evidence that this wasn’t one such time. In a choice between splashing some water on some scum bucket’s face and watching a city blow up, guess which way I’m going to go? Put another way, refusing to splash some water on a known terrorist’s face, thereby allowing thousands of Americans to die doesn’t seem the moral high road to me. Sorry. And I’ll bet the people running from the plane yesterday, would agree. Turn your head and Oink: Does anyone really trust the word of the Obama administration that their reaction to the Swine Flu scare is any different than it would be, were his administration fully staffed? What is going on in this country? The government is about to take over GM in a plan that completely screws private bondholders and favors the unions. Get this: The GM bondholders own $27 billion and they’re getting 10 percent of the common stock in an expected exchange. And the UAW owns $10 billion of the bonds and they’re getting 40 percent of the stock. Huh? Did I miss something here? And Uncle Sam will have a controlling share of the stock with something close to 50 percent ownership. And no bankruptcy judge. So this is a political restructuring run by the White House, not a rule-of-law bankruptcy-court reorganization. Well, I think I’ve said this about a million times… this was never about saving the big three, but rather, about saving the unions, one of Obama’s core constituencies. Are you ready to take my word on this, now? Hurray for Fox News: Fox News has apparently identified that BHO is using the news for his own non-stop campaign channel, and Fox is damned well sick of it. They’ve shut him off. Good for them. The numbers for Fox will skyrocket on this one, I’m sure. Mother’s day correction: Mother’s day is the tenth, not next Sunday. Thanks to the several people who wrote to call my attention to the error. You can stop now. (Wry grin) Are these the same folks who can’t find their way to the comments section?